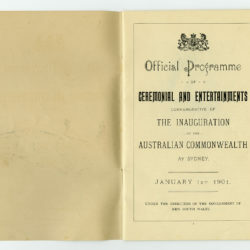 South Australia was at the forefront of plans for the federation of the colonies from the time of responsible government in 1857. 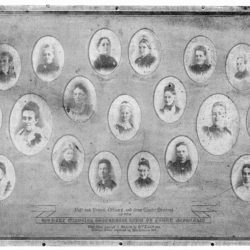 The first federal convention was held in 1891 in Sydney and then in 1897-98 conventions were held in Adelaide, Sydney and Melbourne. 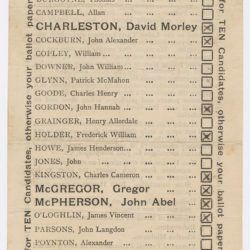 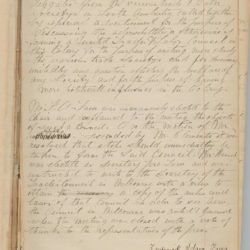 South Australia sent ten delegates to these meetings, all of them experienced federalists. 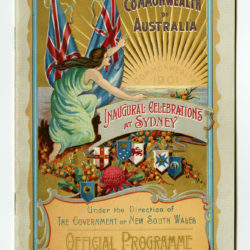 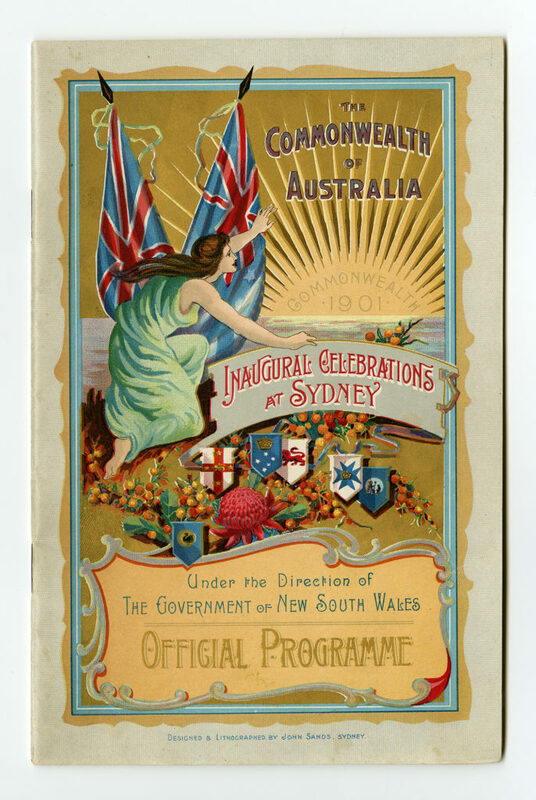 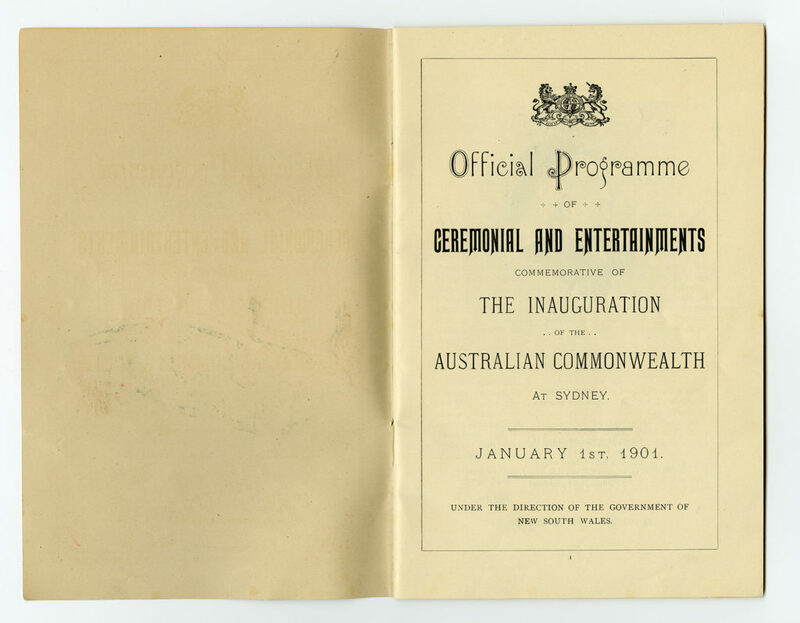 This program is from the official celebrations in Sydney, 1901.